Remember the first time you took a car trip with a GPS navigator? It was probably quite an adventure. While the earliest consumer GPS devices were certainly impressive pieces of technology at the time, they were notorious for making mistakes, such as sending motorists along incorrect routes or down roads that no longer existed. It took time — and significantly improved mapping software — to create the more reliable GPS programs that are common today. This is a universal truth in the technology world: no matter how impressive a new device or system is conceptually, it will inevitably launch with its fair share of bugs. Early adopters need to be wary of this, and in some circumstances safety regulators need to be on the lookout for ways to improve standards. In the auto industry, the focus is now on emerging automatic braking technology. Some of the largest automakers in the world are leading the way in developing this technology — sometimes by partnering with top Silicon Valley tech firms. Though the ultimate goal of many of these partnerships is to develop fleets of self-driving cars, it is generally accepted that this will take many more years to accomplish. Automatic braking is much simpler by comparison. In the auto industry, the focus is now on emerging automatic braking technology. Systems that are able to autonomously slow down or stop a vehicle before it collides with an obstacle could save lives and reduce the number and cost of car accidents. After all, most accidents are the result of human error, not mechanical failure. However, it is safe to assume that the initial rollout of this technology may vary widely, and will not be without flaws. One important factor to consider is that there is variety in the types of automatic braking systems that are available on some high-end vehicle models. Some are capable of bringing a car to a complete stop, while others can only slow it down. Some can only react to other vehicles, while a few can even detect pedestrians and animals. As they seek to establish safety standards, regulators will have to approach each one differently. They'll have to get a move on if they want to keep up with consumers. Only about 1 percent of vehicles sold in 2015 had automatic braking systems in place, according to the Insurance Institute for Highway Safety, but it is clear that demand is strong. 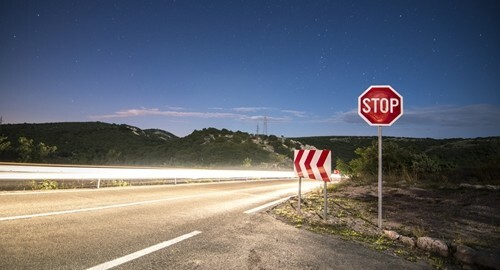 One Autotrader survey found that 70 percent of consumers are interested in automatic braking, and this may be the catalyst for the federal government to make the technology mandatory. But before that can happen, it needs to be improved to ensure a high degree of reliability. Automakers will need to invest in brake testing before they feel comfortable enough to move forward.